“Death is the starlit strip between the companionship of yesterday and the reunion of tomorrow,” reads a quote on a monument dedicated to Mark Twain. This year, readers finally get a bridge to that starlit strip of history. 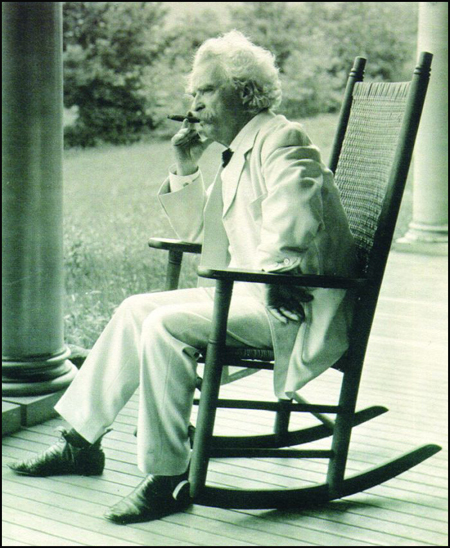 Twain, in a handwritten note that accompanied his 5,000 page unedited autobiographical manuscript, requested that his memoirs not be released for at least one hundred years. The University of California, Berkeley, the repository of Twain’s three volume trilogy, is due to release the first book in the near future. The work is said to be irreverent and revelatory, something that will come as no surprise to fans of the great American author who penned the classics The Adventure of Huckleberry Finn and The Adventures of Tom Sawyer.